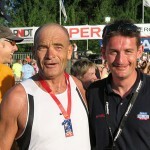 Active in the triathlon world as from 1988, Guy Hemmerlin is the only coach working within the E.T.C structure. Guy Hemmerlin was born in 1970. He started his sports career as judoka in one of the largest clubs in France. Black belt at 16, he won many regional titles and made podiums at national level in judo but also in sambo. Meanwhile, he is practising cyclo-cross and notably earns a regional title until he discovers triathlon in 1986. Guy Hemmerlin has completed more than 150 races on all formats from 1988 to 1996. License holder at the Tricastin Triathlon Club, he took the lead for the first time as coach of the D1 team in 1996. This team was composed by the best French triathletes among whom the short distance world champion at the time called Chris Mc Cormack. Meanwhile, for up to 4 years, he managed the military elite sports team of the ’45 RT de Montélimar’, multiple champion of France, including among others François Chabaud and Hervé Faure. In 1998 Internet starts growing in France. Guy Hemmerlin takes the opportunity to become the first coach in France and probably in Europe to launch his remote coaching website. Aware that for the sake of commitment to athletes this job cannot be a hobby, a side activity or sports career, Guy Hemmerlin is one of the only full time coaches and professional trainers. 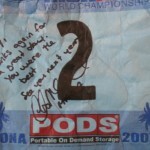 2004 was the beginning of the journey within the Macca Team. That year, the Australian failed again at the IronMan Hawaii. The next day, after a long discussion, the Australian champion took the decision to trust Guy and to integrate him as coach in his team. His mission: put in place a short, medium and long term strategy to make Macca win in Kona. Many training camps both in France and in Hawaii and the choice of the preparation races notably in Europe strengthen the collaboration between the two men and the whole Macca Team. 6th in 2005, runner-up in 2006 Chris Mc Cormack wins the Hawaiian race in 2007, adding to his long list the most coveted title in the world. He earned his victor’s laurels for the second time in 2010. 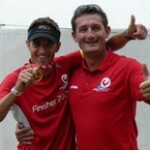 Guy Hemmerlin is the only French coach bringing an athlete to a double win on the world’s most famous triathlon. In the preface to the book ‘De 0 à 226 km’, Chris McCormack wrote notably: “I know Guy Hemmerlin as from my beginning in triathlon. 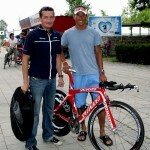 In 1996, at the time reigning ITU world champion, I met this man for the first time. We immediately had a good chemistry. Season by season, we always stayed in contact and we regularly met each other on training camps and on major events in the world. He was part of the Macca Team, and his knowledge and know-how were very helpful, notably in my two wins of the IronMan Hawaii. Many podiums and victories on the biggest races in France and abroad followed. Other famous names of international triathlon, Patrick Bringer, Sébastien Berlier, François Chabaud, Alexandra Louison, Yohann Vincent and many others trusted him. Ben Allen, a real prodigy of the Xterra world tour is being trained and coached by Guy Hemmerlin as from 2011. In 20 years, the ETC athletes earned more than 140 age group qualifications on the IronMan Hawaii World Championship and IronMan 70.3 World Championship. In 15 years of time, Guy Hemmerlin has written more than 150 articles about how to train in triathlon, cycling or running in a dozen of French magazines. In 2014, he logically published his 1rst long distance triathlon training book ‘De 0 à 226 km (From 0 to 226 km)’. In this definitely practical and exhaustive manual, he shares all his knowledge and experience, in a clear and understandable language for beginners and seasoned triathletes as well. With more than 30000 books sold since its release, thousands of athletes are inspired every day by this book in order to optimize their training. 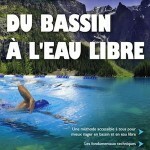 In 2015, in his second book, ‘’Du bassin à l’eau libre (From pool to open water)’’, he proposes a simple learning method, with the basic rules and many tips for progress in swimming. With a lot of pictures, easily understandable terms while being accurate, the book has the objective to make you swim faster in open water. Icing on the cake, Guy Hemmerlin offers 50 swim training sessions tailored to fit three practise levels. Guy Hemmerlin is a great professional. Year by year his expertise remains unequalled. 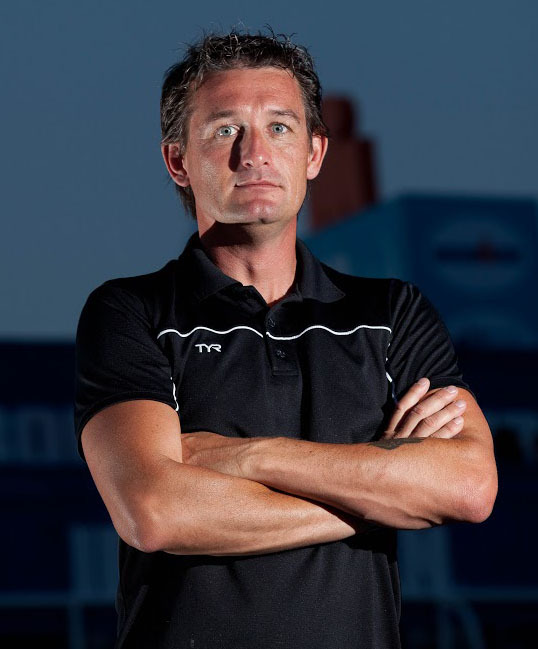 Combined with a continuous availability, his training method is in permanent evolution and put within the reach of all athletes and has become a reference today. Forerunner and visionary, his coaching and expertise services are constantly renewed and adapt to your needs and expectations. Guy Hemmerlin is YOUR day to day coach and he shares his experience staying at your disposal to help you achieve your sporting dreams while helping you to ensure a perfect balance between your professional life, family and sports. 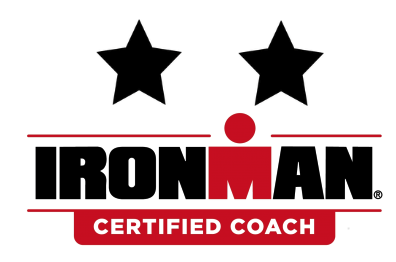 • IronMan Certified Coach: International education at the IronMan University. Ironman 70.3 and IronMan distance. 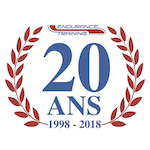 • Swimming instructor, holder of the ‘Brevet d’Etat d’Educateur Sportif des Activités de la Natation’ (National License in Sports Education-Swimming). • Additional specialty: sophrology. Creation and application of a methodology adapted to mental preparation of the triathlete. • Holder of the bronze medal of ‘Jeunesse et des Sports’ (Youth and Sports).